Article: "Creativity and the Brain: What We Can Learn From Jazz Musicians"
"When musicians go to an improvisation, the brain switches, Limb said, and the lateral prefrontal lobes responsible for conscious self monitoring became less engaged. 'Musicians were turning off the self-censoring in the brain so they could generate novel ideas without restrictions,' he said." 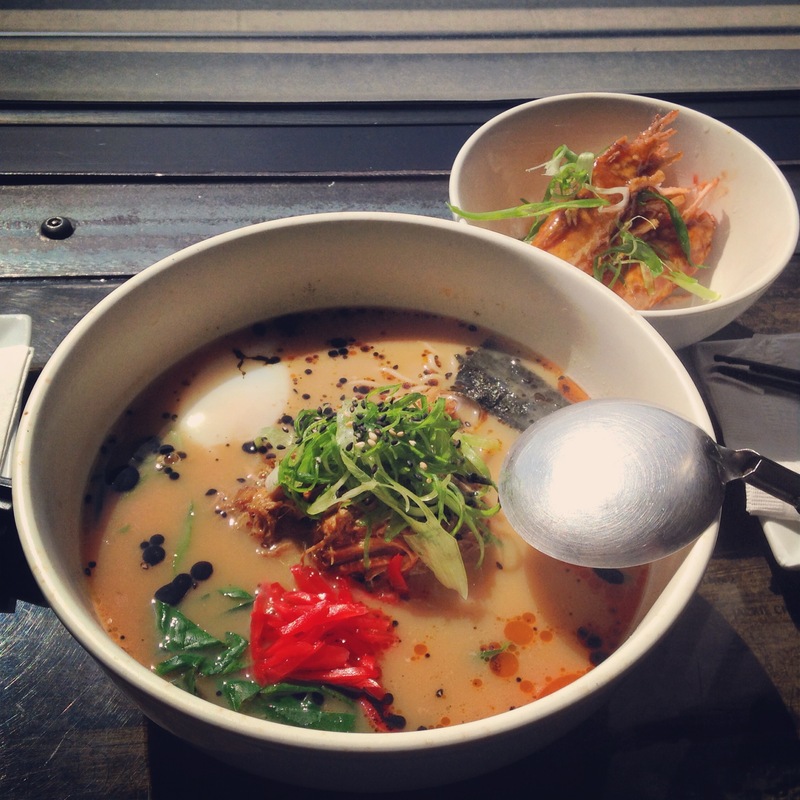 Here is the latest installment of Links That Make Me Think! This super short video is a great visualization of how a very small object (or action) can set off a huge chain reaction. This article is a list of the neurological benefits that music lessons provide. And we have to constantly battle against school music programs being cut why?! Here's a USC study that shows that orchestra students excelled at auditory skills essential for processing speech. Again, what's with music programs always on the chopping block? More and more companies are using computer software to weed out resumes before a human being ever even lays eyes on it. This article examines how to get your resume past the resume bots. This article from the Harvard Business Review about time management might as well have been written specifically about practicing, like how the term time management is a misnomer, that it's really all about productivity. Just like the practice room! Any freelance musician should read this piece on the 7 essential skills every entrepreneur must master. You may not consider yourself an entrepreneur, but the most successful freelancers sure do think like one. 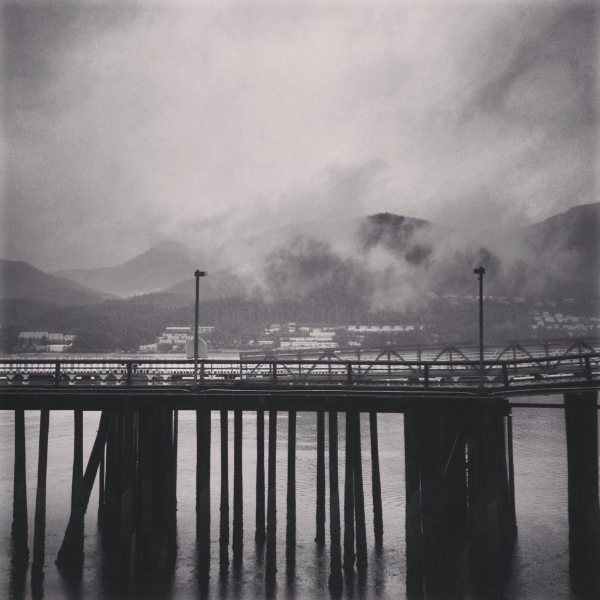 A cloudy pier awaiting a cruise ship in Juneau, Alaska, taken on a Boston Brass trip there to perform with the Enso Quartet in 2013. Before the summer I was posting a large collection of links each month. I've decided to post less links more frequently now. Here are a few from around the internet that I find interesting. And please send anything along that you'd like to share! 1. "5 Incredibly Effective Ways to Work Smarter, Not Harder"
This article has absolutely nothing to do with music or practicing and is a must read for any musician, performer or educator. "Measure your results, not your time. The whole idea of working smarter rather than harder stems from the fact that many of us put in more and more hours only to find we don't get more done. That's why we want to find methods to be more productive in less time. One way to do this is to adjust the way you measure productivity. If you evaluate yourself by what you actually get done rather than the time it takes to get something done, you'll start to notice a difference in how you work." The rest of Jeff Haden's points are great as well. 2. "12(+) Ways to Practice a Technical Passage"
Bret Pimentel hits the nail on the head with this blog post on how to approach the practicing of a technical passage. Really well done. "What is crucial is that you are keeping your brain engaged by varying the material." 3. "The Power of a Practice Schedule"
"Consistent, deep practice is the rocket fuel of musical development. When we live by regular practice schedules we reap countless benefits." He then lists six benefits of a regular practice schedule which are all fantastic. 4. Get a Free Copy of Lance LaDuke's "Music Practice Coach" for a limited time! As I explain in that post, this is the best book on practicing I've ever read and all of my students are required to own it. Grab it before he changes his mind! Yet again Seth Godin nails it right on the head (and in only 57 words!) In asking the question "How do I get rid of fear?" he explains that fear is not the enemy, paralysis is. This is a MUST READ for anyone in music. Not surprisingly, children who learn music from a young age find it easier to learn languages even in adulthood, research has found. Here's a fantastic article about 18 Things Highly Creative People Do Differently which includes failing up and asking the big questions. Forbes compiled a list of 16 Leadership Quotes To Inspire You To Greatness including quotes from JFK and Andrew Carnegie. Filed as Exhibit A under Always Be Ready For The Call: The lead in the Metropolitan Opera's Wozzeck fell ill just hours before the show. in came Matthias Goerne to save the day, with virtually no time to prepare at all. How did it go? Placido Domingo leaped to his feet applauding at the curtain. What a great lesson for all players and conductors to always be ready for absolutely anything! You can not go to a Joe Alessi master class without hearing him mention the Amazing Slow Downer. It is a powerful tool for any performer or music educator. Here is one music teacher talking about how indispensable it is for her. Finally, a fascinating article titled Why We Love Repetition In Music which talks all about brain function. Bonus Link: If this guy with nothing but a trombone, his hands, and a digital loop doesn't make you happy you should probably get off the internet and get some fresh air. Seth Godin, as usual, nail it with one of his recent blog posts titled "Framers and Polishers". In about 100 words he shows why I would argue you should not necessarily look for people with similar skill sets when forming a chamber ensemble or any other kind of musical venture. Here's a great article by Dr. Noa Kageyama (from the Bulletproof Musician) where he discusses the benefits of taking "creative pauses" and how they can help you in the practice room: "How to Reduce Practice Room Angst (and Boost Creativity)". Gerald Klickstein of The Musician's Way discusses what he calls "The Peak-Performance Myth". He talks about how thorough preparation helps you to overcome and adapt to the varied internal and external situations that are encountered during a performance. My jazz piano playing friend Ron Davis found a gold mine of piano videos on YouTube. If you need some inspiration in the practice room, chances are one of these 150 videos of the greatest pianists throughout history can provide you with some! If you use social media to promote yourself or your ensemble (and if you aren't what are you waiting for? ), this article by fellow Phish fan Jon Ostrow from CyberPR gives some great insights into the six biggest platforms: Five Facts About Your Favorite Social Media Platform [Part 1]. Finally, Joe Guarr (who runs weekly music ed chats on Twitter using the hashtag #musedchat) spotted a website that enables you to upload a score and it will auto-generate parts! This seems like science fiction to me. What a great resource for music educators!